Note: This article was originally published on February 9th, 2015, but was updated with additional content on May 7th, 2016. Remember when you were a kid and you would play make believe with your friends or siblings. You would create your very own world where you were in charge and could do whatever you wanted. I think this is a large reason behind the popularity of some of the social aspects of online games, such as MMORPGs and MOBAs. It’s not enough to pretend that you are yourself an adventurer or a superhero; the real joy comes from feeling like you’re part of a larger world. This is the thing that you were building with your brothers and sisters, and this is the thing that guild leaders (by whatever name they are called) tap into when they put together a group of gamers, complete with a core philosophy, a set of rules, and maybe even a consistent role-playing universe. This extends to much more than just games with a fantasy element, though. Any game with a social element (and that’s pretty much all of them these days) can allow for this sort of thing: a way for players to carve out a space of their own within the game, label it, and inhabit it. With an ode to the good ‘ole days, I’ve compiled hundreds of cool clan names to use for CoD or CoC. With the help of Google and some creative friends, there are some exceptionally good options below that will help you come up with your very own name. Perhaps you would want to name your group after something of personal experience to the players, such as where you all grew up. Or maybe, if the world of the game is distinct enough, you would want to name it as an homage to that. For instance, in a World War II game, you could name yourself after some variation of the Dirty Dozen, the Big Red One, the Inglourious Basterds, and so on. 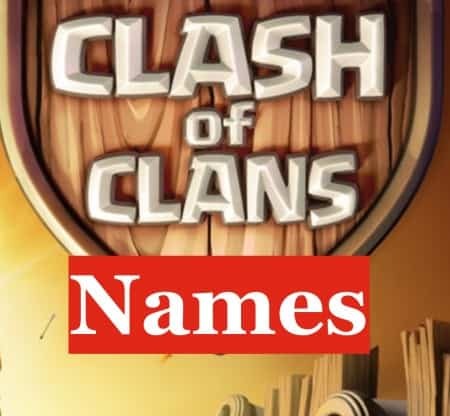 This article will go into detail on exactly how to come up with your own clan name and how to check whether your Call of Duty or Clash of Clans name has been taken or is available. We will also cover some quick tips and creative ideas to help you in the process. If this is the first time you’ve played Call of Duty, you will need to sign up in order to register your clan name with the servers. They will basically check the name and determine whether it has already been taken or if it’s available. This is where there’s a big trade off to early adoption of new titles: on the one hand, early adopters have to put up with a myriad of patches and tweaks as things are nerfed, balanced, or sometimes just fixed. Sometimes it’s days of play-time before the game is something enjoyable. But the upside to this is that those who like to add a social element to their play (in this case, through the clans) have pretty much their pick of available names. There are a few tips to coming up with your very own username that you should keep in mind. 1. The length of your clan name must be 20 characters or less. So make sure you try to come up with a short option so that it fits. 2. You cannot use any special characters such as exclamation points or dollar signs. 3. The only character beyond numbers and letters you can use is an underscore. TIP: If you find your best clan name is already taken try to add an underscore so that it becomes different enough but still has the same general meaning. When you’re ready to sign up, you can do it through your iPhone, Xbox, Playstation, Wii, etc. However, if you want to, you can also head over to the CoD online registration page. If you’re here because you want to sign up for CoC and want to get some good name ideas you came to the right place. If you’re interested in checking whether a name is available you will have to use the app on your iOS or Android device to see if you can use it. Simply download the CoC app on your iPhone, iPad, or Android device and from there when you open it up you will see a sign up page where you can come up with your own name. Keep in mind that the character limit for CoC is 15 characters, so a bit less than CoD. You will have to be even more conservative when coming up with your own name. If you already have a name but want to change it to something different you can do so by emailing Supercell. Note that you can definitely change it if your initial name is offensive and you want to change it to something that’s not. This isn’t to say that you should just make your name something offensive right out the gate (who knows, that might make you more of a target), but if you realize that your name had certain implications that hadn’t occurred to you when you chose it… say, for instance, that you hadn’t said it aloud… then know that you don’t have to be stuck with that forever. Still, don’t plan on changing your name; try to start out with something you’ll be proud of. 1. Head over to CoC on your iPhone or Android. 2. Tap on settings, then Help and Support, then Report Issue, then Other Problem. 3. You will see an email pop up where you can send a message to Supercell, the creators of CoC. 4. In the email request that they change your clan name to the new one and send the email. 5. You should get a message back in a few days that says they changed your name. Now, for the real reason you came to this page, I will list 909 of the absolute best clan names from around the web. Some of these names are available and some are not so you will have to check them to see. Please share your own name below in the comments so we can read them. Buchan iLLuZioNz Clan or Clam? I hope you enjoyed this master list of clan names and got some great ideas going for the future. While Clash of Clans has maintained its throne of honor on mobile devices, the Call of Duty franchise continues to explode and grow at an exponential rate. Right alongside it, the “clan warfare” feature evolves and ages gracefully as the internet grows up around it. 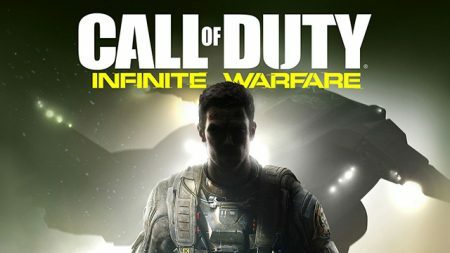 Call of Duty is just as social of an experience as it’s always been, and now that the next entry in the franchise–Call of Duty: Infinite Warfare–has been previewed and hyped, we can start getting excited for all of the new features that will soon be incoming? Mechs and robots? Check and check, thanks to Call of Duty: Advanced Warfare. Space? Space combat? Just watch the trailer and see for yourself, but it might be that we’re seeing some even bigger changes in the Call of Duty landscape than were delivered in the futuristic Advanced Warfare. Expect all of your favorite multiplayer modes to return, as well as support for clan warfare, on November 4th, 2016. That release date is going to sneak up on us before you know it, so if you’ve yet to register your clan in CoD: Advanced Warfare, or you have one up and running, get ready to transfer it to the new game, in order to keep your clever clan name! Meanwhile, we’ve had a good handful of months to dig into the brutal multiplayer of Call of Duty: Black Ops III. 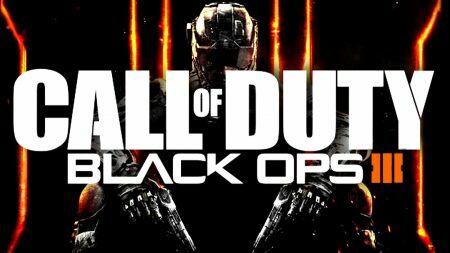 Released in November of 2015, this is the twelfth game in the main lineup of Call of Duty titles, and it’s a well-reviewed doozy. Clan recruitment and operations have already been running strong since release. Looking to see which clans are tearing it up? Maybe you’re late to the game and you’re looking to join one. Hit up the CoD clan forums for Black Ops III and get your voice out there; dozens of clans are recruiting, and you’re missing out on a part of the social CoD experience by not doing so. Eager to sink your teeth into more Clash of Clans? The 2016 update is set to make many improvements to the game, many of them a direct response to a few slight missteps made during the December 2015 update. An out-of-whack player economy and more difficult gameplay–a result of Supercell trying to fight cheaters–resulted in a bit of mild uproar from Clash of Clans veterans, but the improvements we’re seeing this year are bringing gems back into line and making modest improvements to the gameplay. If you found this helpful, please share on Facebook or Twitter. Also, give us your best ideas in the comments below!